The focus of the Rural Studies interest group is to: (1) Facilitate the multidisciplinary research and study of rurality and (2) Connect scholars interested in rural issues to share information and promote collaborative endeavors. Cooperative Longevity: Why are So Many Cooperatives So Successful? Despite popular misconceptions, cooperatives present a very successful organizational form worldwide. A recent study found that, in the U.S., for example, among the companies that have survived for over 100 years, more than 80 firms are cooperatives. This observation on cooperative longevity is not matched by a corresponding research e4ort on what makes cooperatives so successful. Most of the extant research seems to focus on intracooperative problems that posit significant challenges to cooperatives. This Special Issue of Sustainability aims at bridging the considerable gap between scholarly work and reality. By focusing on what makes cooperatives so successful for such a long period of time, this issue will shed light on key aspects of cooperative longevity. The insights thereby gained will be useful to students of cooperatives, practitioners, and policy makers. 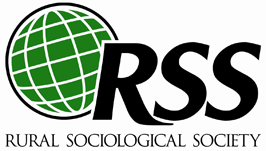 We are primarily interested in the social science approaches to the study of cooperatives. The unit of analysis can be either the cooperative or the member. Theoretical, conceptual, and empirical papers are welcome as long as they do not make heroic assumptions.